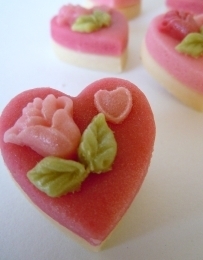 Stylish rosebuds in shades of pink decorate plain almond marzipan hearts make a lovely Mother's Day gift. 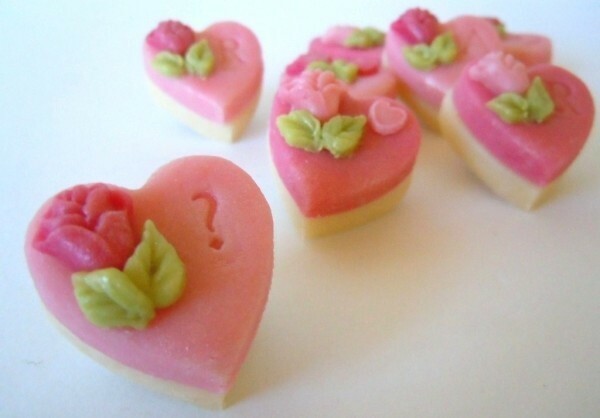 A perfect option for a romantic "I LOVE YOU" or even a "MARRY ME?" Marzigram. Available with just the rosebuds or personalised with your message.